The Newton family had eleven kids, four of whom would become history’s most successful bank and train robbers. As sharecroppers the family moved around, scratching out a living in the cotton fields of Texas. 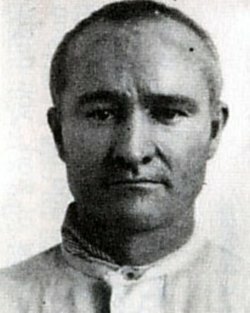 The boys’ mother Janetta Pecos Anderson Newton regaled the boys with outlaw stories with such success that Willis, the eventual leader of the gang, claimed that he cried in 1902 when he heard that the outlaw Harry Tracy had committed suicide. 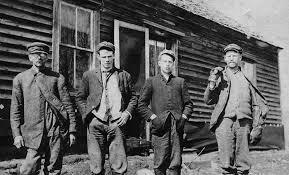 The boys grew up in Uvalde County, hating the backbreaking work on cotton farms. Their penchant for petty thievery kept them under the constant eye of local law enforcement. When Wylie (known as Doc) stole cotton from one gin and tried to sell it to another gin, Willis got blamed for the robbery and ended up serving his first prison term. Besides the brutal conditions of the Texas prison system, the farm on which Willis served time required him to pick cotton. Instead of blaming his brother Doc for letting him take the rap, Willis viewed the harsh conditions as evidence of injustice in the system. It was not long before Doc joined Willis in prison for robbing the post office of less than fifty dollars (probably stamps). For the next several years Willis and Doc moved in and out of prison—escape attempts and harsher sentences—resulted in the hardening of their attitude toward law enforcement. While Willis and Doc stayed in constant trouble with the law, brothers Joe and Jess became cowboys working as ranch hands and bronc busters. Willis graduated to train robbery near Uvalde in 1914, taking $4,700 at gunpoint from a passenger. Two years later he joined an Oklahoma gang that robbed a bank of over $10,000. When he went to prison the following year, he forged letters that secured a full pardon. 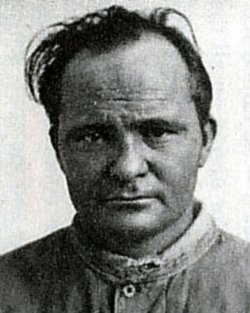 Following several unsuccessful bank robberies with an Oklahoma crowd, Willis decided to organize his own gang, which eventually became known as “the Newton Boys.” The new organization included Doc who had made a successful jail break (his fifth), the two younger brothers Joe and Jess, and Brentwood Glasscock, an expert with high explosives and a skilled safecracker. The five gang members began a campaign of bank and train robberies that spread from Texas up through the Midwest and as far north as Canada, operating at night when banks and businesses were closed. Willis bribed an insurance official with the Texas Association of Bankers to obtain a list of banks that had older models of safes that were more vulnerable to Glasscock’s use of nitroglycerin and dynamite caps. They usually cut the phone wires before a robbery, stationed two men at the door to keep townspeople at bay while the other members loaded the car (usually a Cadillac or Studebaker) with money, and then made a quick getaway. In Hondo, just down the road from Uvalde, they robbed two banks in one night. They kept their reputation for not killing their victims and were described by many customers and bank employees as extremely polite making a real effort to ensure that everyone was comfortable. When they tried robbing pedestrian bank messengers in Toronto, Canada, at the height of the morning rush hour, the intended victims refused to give up their bags of cash. The resulting scuffle and gunfire ended with the wounding of two messengers, ruined their reputation for nonviolence, but it yielded $84,000 in Canadian dollars. On June 12, 1924, they pulled off their last robbery, a mail train carrying money from the Federal Reserve in Illinois, which garnered the largest haul—$3 million—in U.S. history. It all began to unravel when Glasscock mistook Doc for a postal worker and shot him five times. Eventually they were all arrested, and it was never clear how much of the money was recovered. There was a tale claiming that Jess was drunk when he buried $100,000 somewhere northwest of San Antonio, and despite years of digging, he was never able to find the location. He had gone into hiding after the robbery across the Rio Grande from Del Rio. 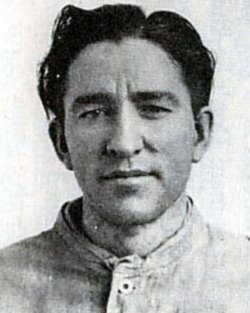 The Texas Ranger Harrison Hamer (brother of Frank Hamer who ambushed and killed Bonnie and Clyde in 1934) created a ruse to draw Jess back across the border by organizing a bronc ride at a Fourth of July rodeo. When Hamer took Jess back to jail in Chicago, the newspapers began calling the Newton Boys “colorful cowboys” because Jess was still wearing his rodeo outfit. After all their escapades the gang received relatively light prison sentences for the robbery because no one was injured except one of their own, most of the money was recovered, and they testified against their accomplice, a postal inspector who had connections with the mob. Jess returned to Uvalde and lived out his life as a cowboy, dying in 1960 at the age of seventy-three without remembering where he buried all that money. Joe, the youngest, renounced crime after he left prison, but was accused with Willis of an Oklahoma bank robbery that they did not commit and served another ten years in prison. He finally returned to Uvalde, worked at odd jobs, took part in an interview with Willis that became a short documentary, and was interviewed by Johnny Carson in 1980 on The Tonight Show. He died in 1989 at the age of eighty-eight. eighty-three in Uvalde in 1974. 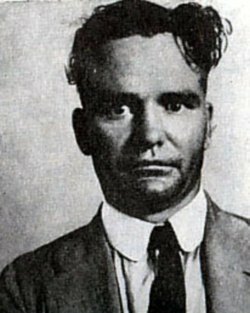 Willis kept his criminal connections, operating nightclubs in Oklahoma and surviving an assassination attempt before returning to Uvalde. He was accused of a 1973 bank robbery in nearby Brackettville, but there was never enough evidence to arrest him. He and his wife farmed until his death at ninety in 1979. 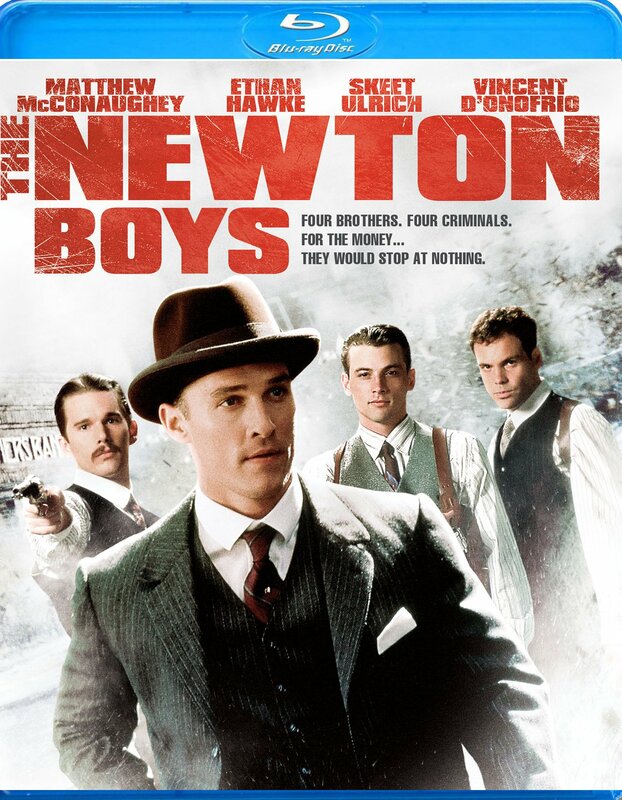 In 1998 Twentieth Century Fox Studio released “The Newton Boys,” starring Matthew McConaughey. Another good one, Myra. I have to look and see if I can find that movie. I haven’t seen the movie either. Thanks for reading. and, for me, one of their remarkable achievements was that they lived such long lives. Another great slice of history. Kudos! It’s fun to share the tales with the likes of you who continue to send encouraging words. Thanks, John. I agree. He looks like a mess. Wonderful story, Myra. What a tough bunch of characters. The photo of Wylie makes him look crazy.